The Casio CDP-S100 is the world's slimmest and most compact digital piano with 88 hammer-action weighted keys. An oustanding entry-level key.. 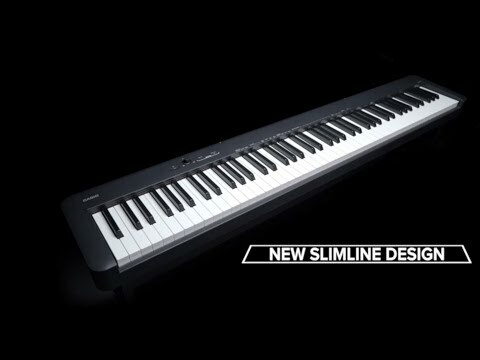 The Casio CDP-S100 is the world's slimmest and most compact digital piano with 88 hammer-action weighted keys. An oustanding entry-level keyboard for those learning to play piano with proper technique at classical or professional level! New sound. New key action. New beginning. 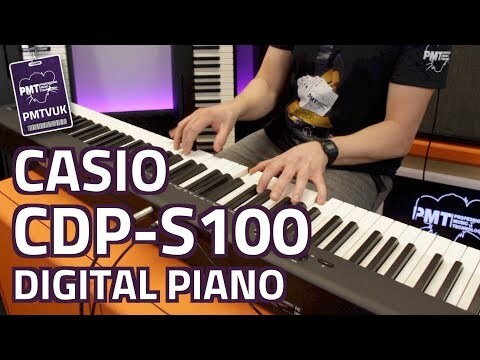 Following the success of the now-discontinued Casio CDP-130, the CDP-S100 utilises brand new digital piano technology developed by Casio. The end result is a much better-sounding piano with smoother playing experience - the perfect combination for new starters or anyone learning to play keyboard. 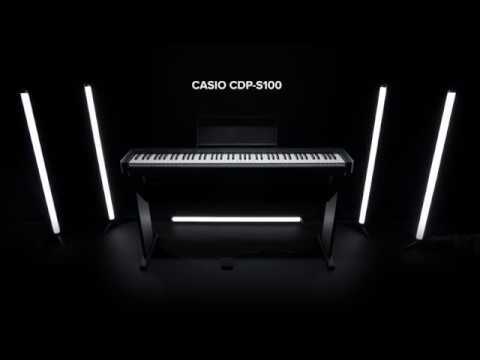 The Casio CDP-S100 uses a brand new sound engine, producing an expressive and musical tone that makes every performance fulfilling. Using four times the sample size of its predecessor, CDP-S produces a smooth gradient of touch and sound unlike any other entry-level instrument. The new Scaled Hammer Action II keyboard has ebony and ivory textured keys, delivering a playing experience that redefines what an entry level piano should feel like. The Casio CDP-S100 has been re-designed to make it more travel-friendly, now featuring the smallest footprint of any 88-note digital piano in its class. With up to 13-hour battery powered operation from 6 x AA batteries, or optional AC Adapter power, it can be played anywhere, any time. Whether you're travelling to shows, or using it as a dedicated home practice piano, the CDP-S100 won't let you down. The Chordana Play Piano lets you Easily control piano functions, learn new pieces of music and view accompanying sheet music in PDF format. Choordana Play Piano is available for both iOS / Android, so you can practice and play with most smartphones. The Casio CDP-S100 is the direct replacement for the best-selling Casio CDP-130. One of the most popular digital pianos we've ever stocked at PMT! A massive hit amongst new and seasoned players alike.